Group Health’s Individual & Family plan members are eligible to enroll in the Washington Dental Service (WDS) Premier Network program. This WDS dental plan gives you the freedom to use any dentist. The Premier plan includes the MySmile personal benefits center which is a unique online tool that provides personalized strategies for you to use to improve the oral health of yourself and that of your family members. This plan offers immediate access to quality, affordable dental care. The plan is procedure-based, but unlike traditional dental plans you are rewarded for receiving routine preventative care. Each year that you visit the dentist for a checkup and cleaning, means greater benefits and less out-of-pocket expenses the next year. 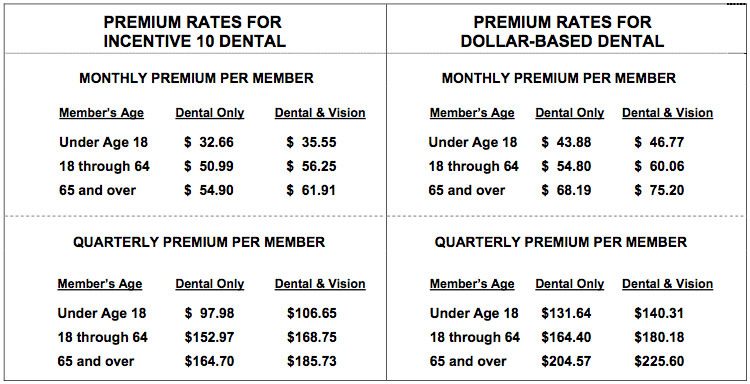 This plan puts you in control of your dental health dollars. The plan is dollar-based – a unique departure from traditional procedure-based coverage. Imagine spending your benefits dollars almost any way you choose, on care that’s important to you and your family. Each year you decide to include an exam and cleaning, you are rewarded with a benefit increase the following year. Once you select “Apply Now” and are taken to the Regence site, please enter your zip code and select “Submit”. On the following page, select “Enroll Online Now” and follow the instructions from there. Operating in Washington since 1984, they are a leader in the provision of dental care and benefits to individuals, families, trade unions, employers and associations. They pride themselves in delivering quality dental care at an affordable price. Plan members receive outstanding, personal service. You’ll save 15-95% on more than 150 general dental procedures. The plan has NO deductible, requires no pre-authorizations, no waiting periods, and no annual benefit maximums. The independent SmartSmile dental plan provides a network of privately owned, neighborhood dental offices to deliver high quality dental care to you and your family. Most procedures require a copayment. A copayment is the exact amount listed in your “Schedule of Covered Services and Copayments” that you pay directly to your participating dentist at the time of service. Choice of deductible – choose either a $50 or $75 annual deductible plan. Easy plan administration – one application, one bill, one ID card, one customer service line and one resource rich website. Wide range of coverage – you’ll be covered for the most commonly used preventive, minor and major dental services. Choice of providers – use our “find a doctor” tool to find a dentist in your area. Choose “Dental-Individual Copay Plans” from the Network drop-down list. On-going support – you’ll receive online access to a wealth of dental health information at lifewisewa.com/dentalhealth. You can only enroll in a LifeWise dental plan at the same time as your apply for a LifeWise health plan or during our add-on period which is currently scheduled for November 1, 2011 through December 31, 2011. If you are an existing member and want to add a dental plan to your existing health plan, visit www.lifewisewa.com/smart for more information or contact your Broker at #425.953.4395.